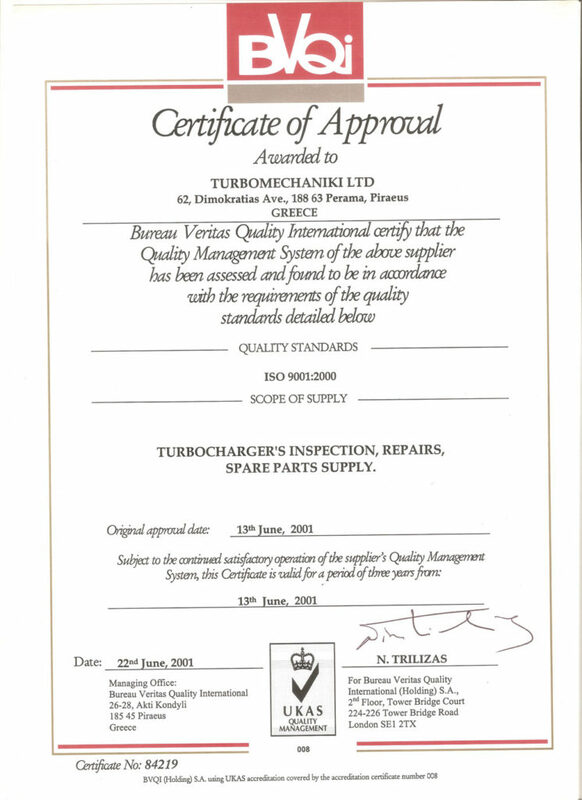 The company TURBONAVE LTD was established in 1992, with the ex. 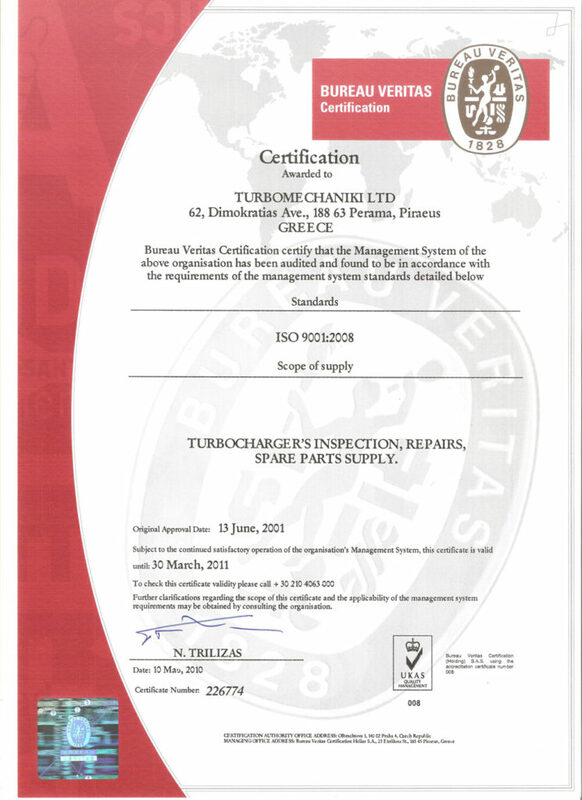 brand name TURBOMECHANIKI LTD and developed as a turbocharger service and turbocharger spare parts supply leader company in the Greek market. The company’s creator was Balis Manolis that worked as a superintended engineer and technical director for more than 20 years in the biggest shipping companies, giving all his knowledge in his children and technicians in order to continue the successful route. 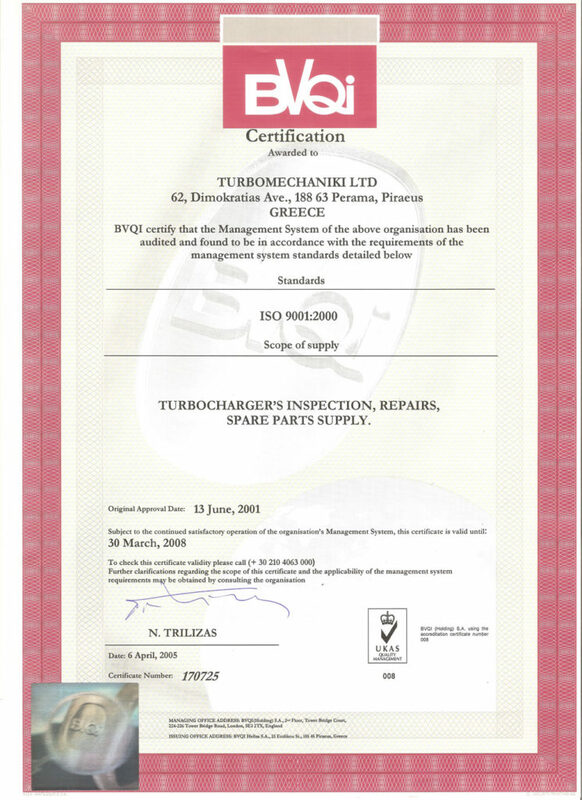 TURBONAVE LTD specializes in maintenance, repair and overhauling of all turbocharger types, providing 24 hours services, 7 days per week worldwide and supplies high quality turbocharger and turbocharger spare parts. TURBONAVE is able to serve it’s clients on ship, at dock, at anchor, offshore or at land. TURBONAVE provides to the staff continuous education in order to always specialized in all the new turbocharger types and technologies, providing the best services to our worldwide customers. Our company has high technology equipment, in order to respond successfully to customers’ requirements as a complete independent unit. Our facilities contain the warehouse as well as the workhouse. The warehouse is full of stock with complete turbocharger units and all types of spare pars. The workhouse is full equipped with all the necessary tools and equipments, meaning two electronic digital balancing machines (in order to be able to balance all turbocharger/rotor types), sand and ash blasting machines, digital and analogical torn, radial and general all the necessary equipments for repair all turbocharger’s damages etc. Moreover, we own shipyard where we are able to do any necessary repairs. 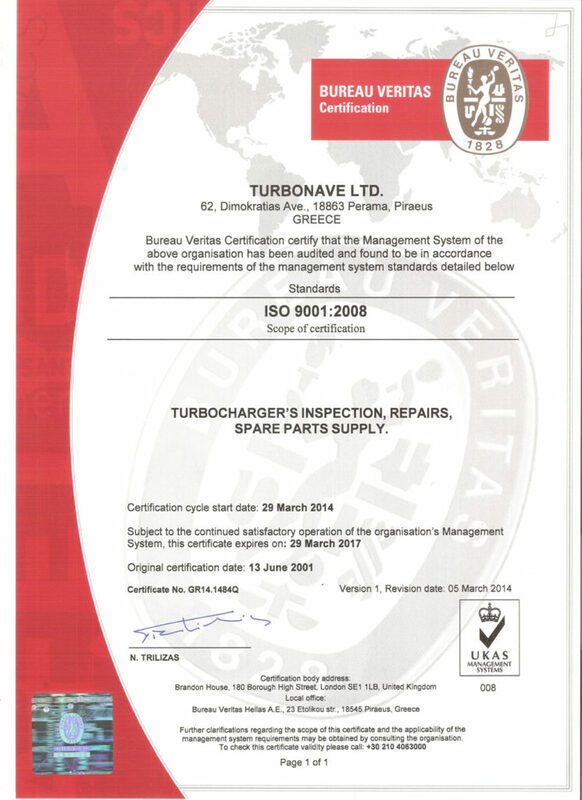 TURBONAVE is an ISO 9001:2008 (the new ISO 9001:2000) certificated company since 2001 from Bureau Veritas. 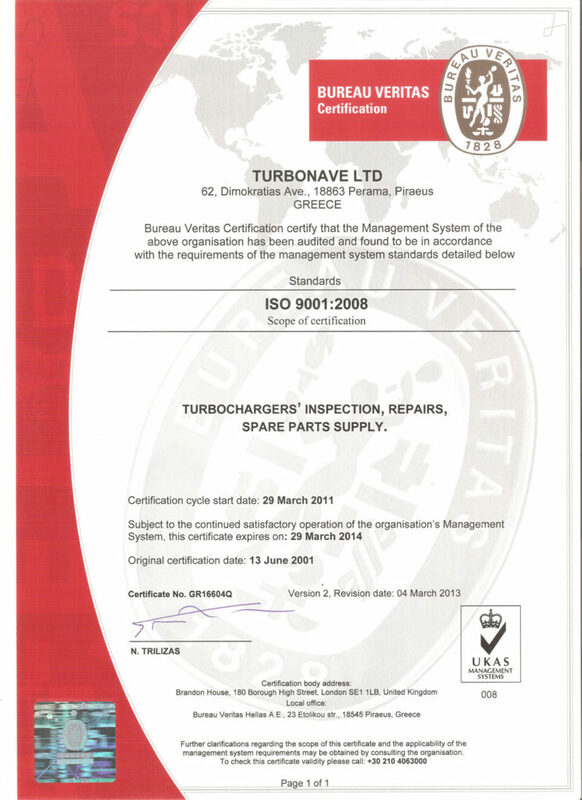 As a result it provides services, turbochargers and spare parts based on ISO standards. © TurboNave - 2018. All rights reserved.